Many people automatically think of social work as a way to help people live at their best and ensure that they have access to the appropriate resources, but a study from the National Association of Social Workers asserts that social workers in all practice settings will inevitably deal with end-of-life care, and it’s crucial to know how to handle the associated challenges. As a social worker, you’ll have the opportunity to work directly with people who are nearing the end of life, but also may be able to positively influence healthcare professionals in educating patients about options. Although advancements in healthcare technology have meant that people enjoy longer life spans, a growing aging population is one of the reasons why social workers with end-of-life experience are constantly in demand. Understandably, the scope of the related responsibilities can be overwhelming, which is why the National Association of Social Workers has developed a set of guidelines for social workers who are already working in palliative and end-of-life care, or considering doing so in the near future. When working with people who are nearing the end of their lives, social workers have an obligation to ensure that society upholds the wishes of a person after he or she has passed. Sometimes that means working with family members to determine ways to carry on the dying person’s legacy and helping surviving family members receive proper access to community and financial resources as needed. In terms of being involved with palliative care, social workers can employ a team approach to help people live the remainder of their lives as fully as possible and offer supportive resources for patients and family members, so they can feel as prepared as possible for what’s to come. Also, because social workers have broad expertise in working with people from a range of societal and cultural backgrounds, they can be a valuable asset in navigating any ethical dilemmas stemming from a dying person’s final wishes. The stance of the National Association of Social Workers is that individuals should have the right to determine desired levels of care, including signing Do Not Resuscitate orders, but professionals there also recognize that additional challenges may result when people are disabled, elderly or otherwise unable to clearly express desires, challenging social workers to be guided by ethical standards in the absence of feedback from a patient. After a client has passed, your role as a social worker shifts from determining a dying person’s needs to upholding those wishes. Often, you’ll work with legal professionals to assist in drafting legal documents about funeral arrangements and the distribution of a person’s remaining assets. You’ll also be an important resource for the deceased person’s loved ones, offering resources for bereavement counseling to help family members go through the grieving process and adjust to a new way of life. Clearly, end-of-life care is not just for healthcare providers, but can also be a crucial factor during your career as a social worker. 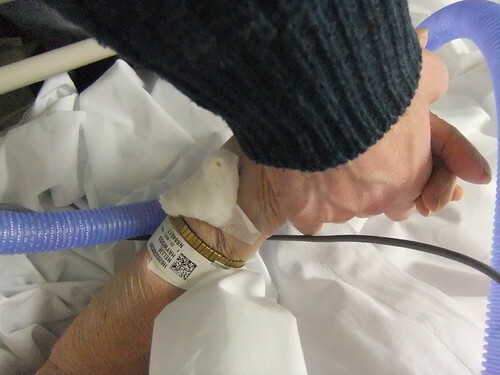 By taking care to identify the needs of a dying person, and carrying them out after he or she is gone, you can help individuals be able to face what’s ahead with bravery, because they know you’ll be supporting surviving family members and also meeting certain defined desires to the best of your ability. Author Robert Neff is a full-time writer and blogger. If you want to get involved in the important work of helping end-of-life patients, consider a degree in social work offered by accredited colleges such as CWRU.